What types of cases does ArBio handle? 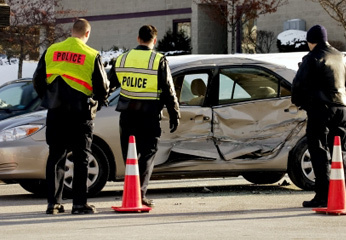 We handle numerous types of cases within the areas of accident reconstruction and biomechanics. About 50% of our cases involve vehicles of some nature and the other 50% involve injury causing incidents of a different nature. Does ArBio handle cases for both the plaintiff and defense? Yes, there is an excellent balance in retention from both sides. Does ArBio handle civil, criminal and federal cases? Yes, we are commonly retained in all of these types of matters. Dr. Wobrock has testified in large number of trials and depositions. How long has ArBio been in business? ArBio was founded by Dr. Wobrock in March 2005 however, Dr. Wobrock has been working in the fields of accident reconstruction and forensic biomechanics for many years prior to 2005. What types of services does ArBio provide? Expert witness testimony in the areas of accident reconstruction and biomechanics, consulting, detailed vehicle and scene inspections, MAYA animation software, ARAS 360 visual software, AutoCAD drafting, 3D PC-CRASH and MADYMO analysis, and forensic animations among other things. How can I get more information about ArBio? Please contact us via phone, fax or email and we will give you the appropriate information whether it is a CV, fee schedule, or case consultation.